Looking for great Christian articles to help you grow in faith? If so, you're in the right spot! Here you will find some of the BEST articles on this website, conveniently sorted by topic. Scroll down and see what you can find. Whether you're looking to make God more of a priority in your life, start reading your Bible regularly, learn more about what the Church believes, or trust God through a tough season, you're sure to find plenty of help and inspiration here. Enjoy! 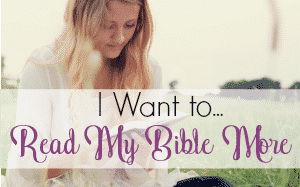 "I Want to Read My Bible More"
Did you know: While 58% of Americans wish they spent more time in the Bible, only 16% of American adults read the Bible daily? 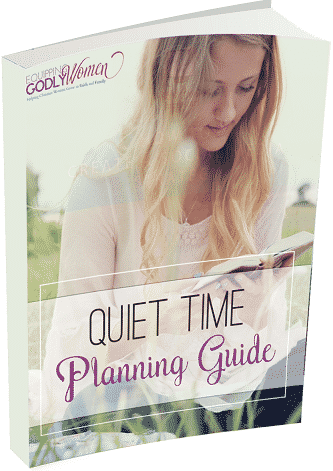 The good news is: If you'd like to read your Bible more often, the Quiet Time Planning Guide will help. A short and simple guide, it will has everything you need to figure out what the perfect quiet time looks like for you. 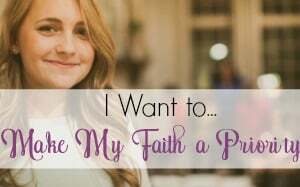 "I Want to Make My Faith a Priority"
​What if you could figure out exactly what's holding you back spiritually AND have a solid game plan to fix it? With the Ignite Your Faith Challenge, you can! Here's how it works: Sign up below and you'll receive one email a day for the next five days. Each email will contain an encouraging thought, questions for self-reflection, Scripture and a prayer. Make it through all 5 days (in about 15 minutes a day), and you may be surprised how much your faith grows as a result! Top 10 Christian YouTubers that Challenge, Encourage, and Inspire! 7 Best Bible Study Apps for Christian Women - All Free! 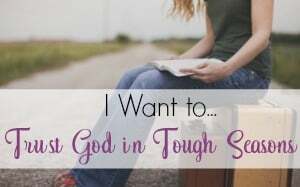 "I Want to Trust God in Tough Seasons"
Tough Seasons. Everyone goes through them sometimes. The only question is -- How will yours affect your faith? » and much, much more. 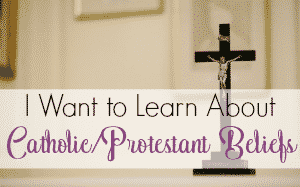 "I Want to Learn About Catholic/Protestant Beliefs"
Are you curious about what Catholics and Protestants believe and why? Are you feeling the tension of being a Catholic/Protestant with family who isn't? Nine years ago, I married into a Catholic family after growing up Protestant my entire life. I never converted, but I have spent the last four years doing TONS of research on what Catholics believe and why. Whether you're curious to learn more, or you want to help your friends and family better understand what you believe and why, I can help. 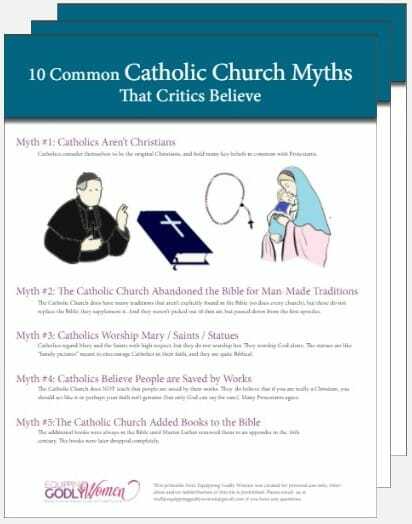 The best place to start is with my free "10 Common Catholic Church Myths that Critics Believe" sheet. Just tell me where to send it, and I'll get it sent your way right away! Feel free to email me here and I can help you find what you're looking for. Or return to the front of the site for more great resources on Christian faith, marriage and parenting.